We recently gave our daughter an iPod touch for her birthday. She naturally wants to be able to download music and apps but she doesn’t have a credit card and we’re not prepared to give her access to ours. Is there a way she can have an account that isn’t tied to a credit card? There is. Here’s how to set it up on your Mac. Select iTunes Store in iTunes. 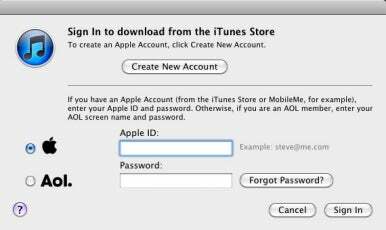 If iTunes is signed into your account, sign out of that account by clicking on the small triangle next to your account ID in the top-right corner and selecting Sign Out. Select App Store in iTunes, find a free app, and click on Free to “buy” it. In the window that appears click Create New Account. Click Continue in the welcome screen that appears and on the succeeding page agree to the terms and conditions and click Continue. You’ll then be asked to provide an e-mail address you haven’t used before (this can be your daughter’s address) along with a password, security question, and date of birth. Click Continue again. The next screen, Provide a Payment Method, is where the magic happens. In the Payment Method area choose None. Enter your address information below and click Continue. You’ll see a Verify Your Email Address screen. If you don’t have access to your daughter’s e-mail account, have her check it for a message from Apple. In that message there will be a Verify Now link. All she needs to do is click that link and the account is ready to go. So, what happens now? Your daughter will be able to download any free content she likes from the iTunes Store, including apps. However, if she wants to purchase something, she’ll see a window that tells her that the purchase can’t be completed until some kind of payment information is linked to the account. If all she ever wants to do is download free stuff, she’s fine. However, it’s likely she’ll eventually want to buy something and you can provide the means for doing so without giving her carte blanche to your carte de crédit. That means is available by logging in with your account and clicking the Buy iTunes Gifts link on the home page. Here you can purchase iTunes gift certificates as well as set up a monthly iTunes allowance for your daughter (in amounts from $10 to $50). Gift cards are also available from finer retail outlets across the land. With a gift card or allowance in hand, your daughter can use that virtual cash rather than tapping your credit card.